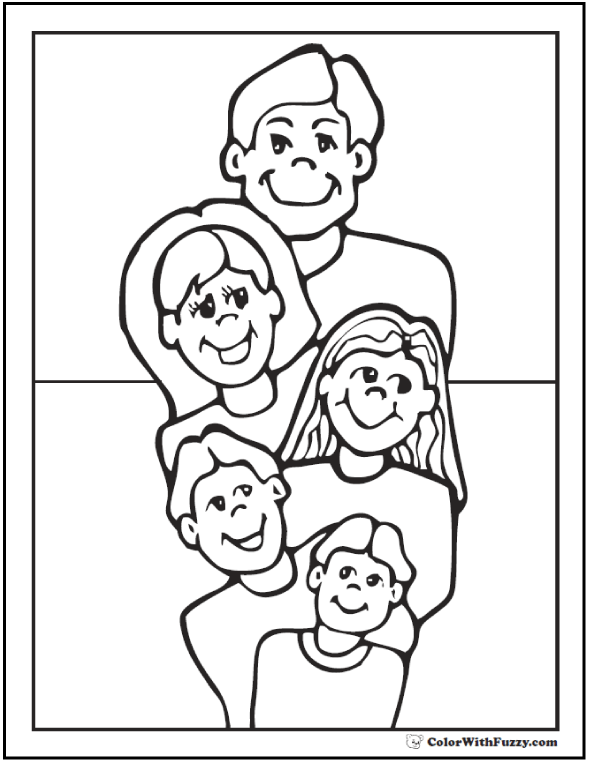 I love this fun family Fathers Day coloring page. It shows Dad, Mom, two boys, and a girl. It's all in the family! This PDF prints to 8.5x11 inch paper. I love this happy family Father's Day coloring page. Such a happy family!